Reds, deep bronzes, golds, a little greenery and some snow spray. 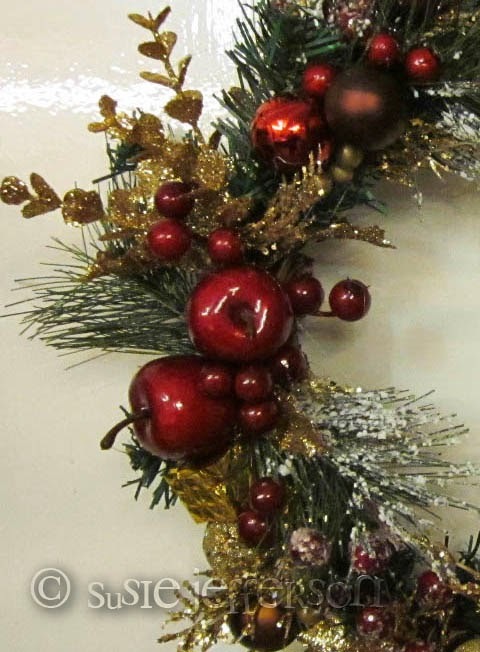 Detail - lovely glossy apples and deep red berries, artificial Christmas tree pieces with snow spray. I've really gotten into making wreaths, and this year's is themed red and gold (above). Last year was silver and blue (below). This bow is some kind of transparent PVC, wired - very strange stuff I'd never seen before! I found a wonderful floristry wholesalers, and just adore these glittered pears etc. 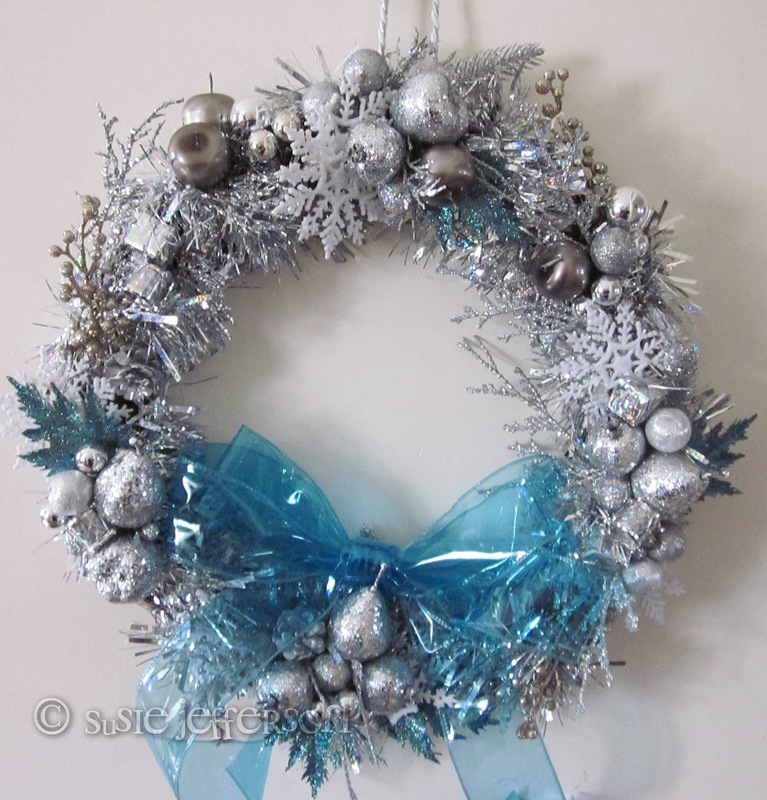 If you're making a fake wreath, just go for it! 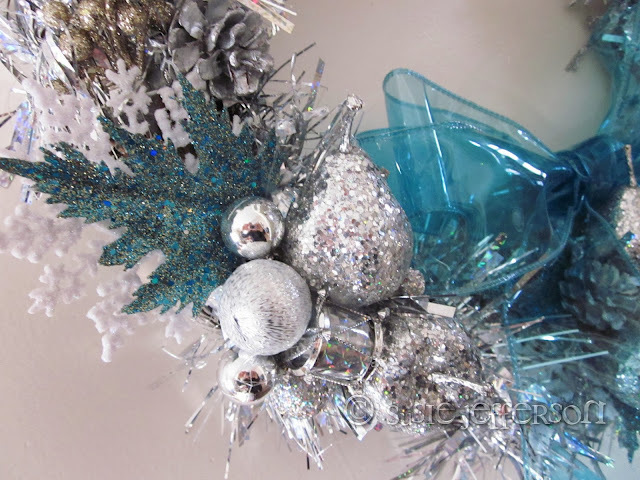 I've mixed in Christmas ornaments, glittered leaves, pieces of artificial Christmas tree - thank goodness for hot glue guns! 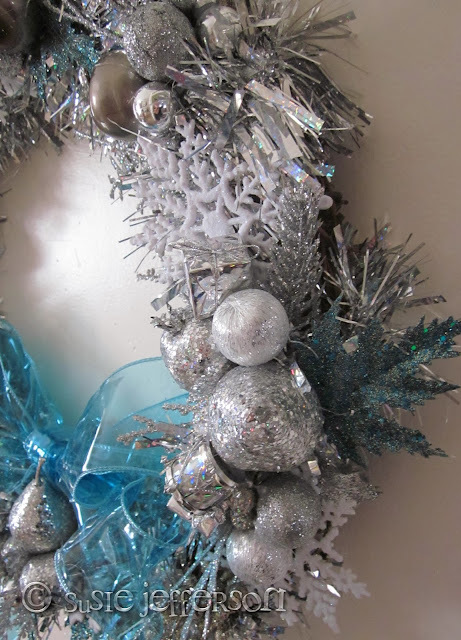 I've also been looking online, and found some wonderful Christmas quotes at Quotegarden, and one that refers (a bit) to wreaths in a general way. Back to the same old lives again. Deck the halls with boughs of holly ... fake or real, it all looks great!